When you approach The Capital Church Food Pantry in Garner, the warmth of the room pulls you in. Then the volunteers do. Capital Church Food Pantry provides food to about 600 people every month, except this month. This October they’ve served more than 700. To support the pantry, they raise money and collect food at the church and receive food through their partnership with the Food Bank. Throughout the week they stock their shelves as much as they can, weighing donations, checking food labels, and tracking inventory. And every Tuesday and Thursday from 9:00 am – 12:00 pm they open their doors to their community. 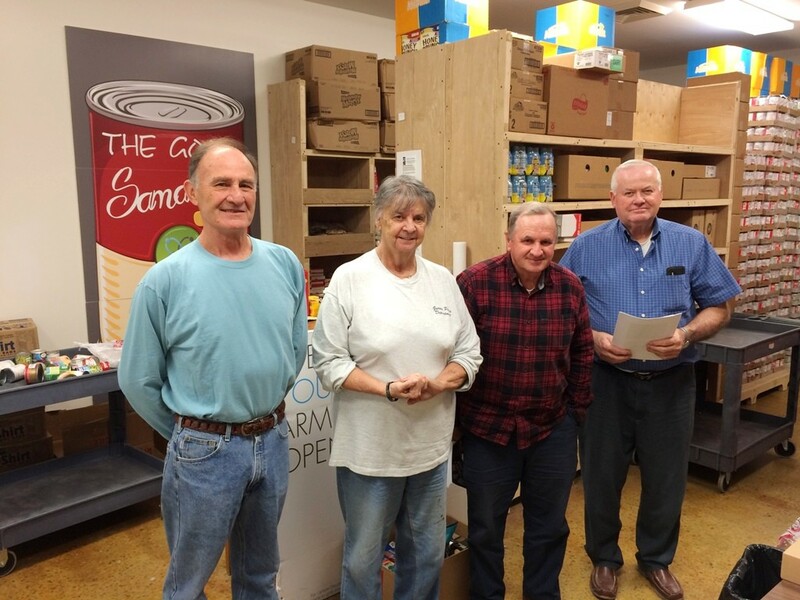 Iris Motley stands with her dedicated volunteers at The Capital Church Food Pantry in Garner. The food pantry has served the community for 15 years. Iris remembers when they started in a room the size of a closet. “I could stand in the middle of the room and touch the walls it was so small.” They have now moved into a larger space at the church. But Iris explains that the larger space has only meant feeding more people, now serving more than 7 times the number of families than they did just a few years ago. This week Capital Church Food Pantry volunteers were trained to join our Retail Recovery Program, which will allow them to pick up food including meat, bakery items, and community food drive items from the Kroger store right down the street three days a week. 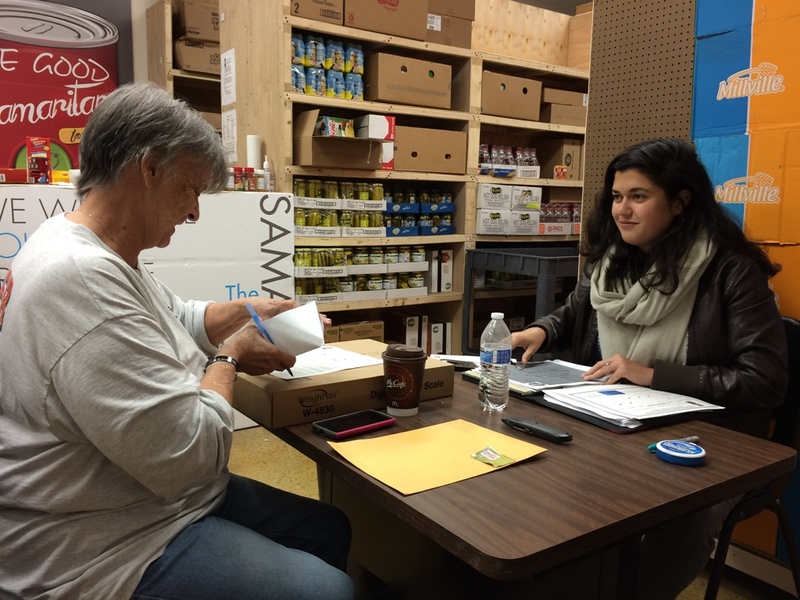 Pictured: Iris Motley (left) reviews program information with Caitlin Cohn, Food Bank Retail Program Supervisor. This opportunity will give the pantry easier access to fresh food and will ease transportation costs for the Food Bank as well.